Designed and manufactured in right here in California, Onewheel + is the latest model of FutureMotion’s single-wheeled, revolutionary electric riding platform that’s controlled by simply leaning your body in the direction you want to go. The new Onewheel+ is a complete redesign by the FutureMotion folks up in Northern California who felt the need to reach for a higher level of performance. And they nailed it. As if the original Onewheel wasn’t amazing already, the Onewheel Plus is smoother, faster, and even easier to ride. Test ride the Onewheel Plus at Electric Cyclery to check out Onewheel + for yourself. There is no doubt this is a serious upgrade. Onewheel + is powered by a new proprietary Hypercore electric motor with a new design that keeps cool under load and Li-Ion batteries that provide a 5-7 mile range (full re-charge in only 20 minutes!) with speeds up to 19MPH. Not that you would ever want to go that fast but its nice to know the power is there when you need it. Wow, the ride is a dream come true with noticeable improvements on every level. With improved sensors under the redesigned contour footpads for better control and a new motor that’s designed for the long-haul, Onewheel + (Plus) is miles ahead of anything on the market. Onewheel is ridiculously easy to master but completely different than anything you’ve ever ridden so you may want to check out some of the basics to get started. Have a look at these “How to ride Onewheel” tutorials to learn how to mount, dismount, stop and steer before riding. 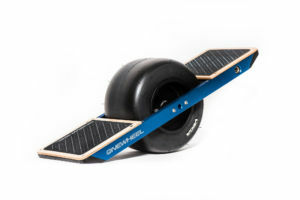 Float Shack has got Onewheel Fenders, Chargers and Replacement Parts in stock. Onewheel is proudly made in the United States and is assembled in Onewheel’s assembly-line style factory in San Jose, California, just a few miles south of Silicon Valley. Onewheel’s state-of the art facility allows for on-site testing, riding and the highest levels of quality-control while creating some badly needed American manufacturing jobs for a change. The 12’6″ NRS Adventurer Inflatable SUP Board is the best choice for paddlers looking to go farther and do more. You get the paddling efficiency, features and load capacity you need for longer day trips and overnighters. Designed specifically for adventure touring, the Adventurer SUP combines a sleek 12’6″ shape with a rugged system of D-rings for rigging your gear. 6″ thickness gives you the air volume you need to efficiently take you and your gear on your next adventure. The Adventurer features our proprietary Axis Technology. Axis, an acrylic stiffening agent integrated in the deck, improves stiffness and performance without adding weight or making the board harder to roll up. Six stainless D-rings give you lots of options for attaching gear and a leash. Bungee lacing up front makes rigging easy. 5″ and 9″ removable, interchangeable fins let you customize your board for tracking and turning to suit the water you’re riding. With 342 liters of air volume, the 6-inch-thick Adventurer provides optimal performance and stability for paddlers up to 260 pounds. The diamond-textured foam deck pad gives you a comfortable non-slip surface. Includes a a high pressure pump for easy inflation, a pressure gauge, and a backpack for transporting the board. Paddler Size: up to 260 lbs. Built for efficient paddling and smooth turning, the 10’6″ NRS Earl 4 Inflatable SUP Board gives you a sleek, swift ride for flatwater, rivers and waves. This is a great all-around stand-up paddle board for fitness paddling, touring, river running and light surfing. With 193 liters of air volume, the 4-inch-thick Earl 4 provides optimal performance and stability for paddlers up to 200 pounds. Six stainless D-rings give you lots of options for attaching gear and a leash. The Earl 4 comes with a handy carry/storage backpack, interchangeable fins, pressure gauge, high-pressure pump, Leafield valve adapter and a repair kit. Paddler Size: up to 200 lbs. The 9′ NRS Tyrant Inflatable SUP Board is your magic carpet for surfing river and ocean waves. Its sporty lines, grippy deck surface, stomp pad and interchangeable fins give you wave-shredding performance unrivaled by other inflatables. Inflatable construction makes it oh so easy to transport and store this high-performance board. No need for a roof rack! 4″ thick PVC drop-stitch inflates to 15 psi air pressure for a rigid, no-flex ride that responds to your every paddle stroke and body movement. At 34 inches wide and 9 feet long, the Tyrant is built to catch and surf waves like no other inflatable SUP board. When you’re not challenging waves, the Tyrant’s sleek profile and short waterline help it glide efficiently for flatwater fitness paddling and touring. The aggressive diamond-pattern foam deck gives you the grip and control you need for riding waves and running rivers. The deck-wide stomp pad lets you confidently weight the tail for quick maneuvering. A top-quality Leafield™ C7 valve ensures trouble free inflation and deflation. A wide webbing strap in the center of the board makes a convenient carry handle. The Tyrant comes with a handy carry/storage backpack, interchangeable fins, pressure gauge, high-pressure pump, Leafield valve adapter and a repair kit. Paddler Size: up to 190 lbs. Youths and smaller adults who find the performance of conventionally sized SUPs lacking will enjoy the NRS Jester Inflatable SUP’s reduced air volume and narrower width. The 9′ long Jester provides a better SUP experience for paddlers weighing less than 135 pounds. A slim 28″ width improves paddling comfort by reducing the distance narrower shoulders need to reach. 3″ thick drop stitch construction provides ample stiffness without the “corky” characteristics thicker boards can exhibit under lighter loads. Whether you looking for some downriver action, flatwater cruising or paddling for fitness, the versatile Jester delivers. The diamond-textured foam deck pad gives you a non-slip surface for excellent control. Stomp pad on the tail gives you leverage for quick turns and maneuvers. Webbing handles at the nose and tail help you hold on to the board during a swim. Four stainless D-rings give you attachment points for gear and a leash. Includes a high-pressure pump for easy inflation, a pressure gauge, and a backpack for transporting the board. Paddler Size: up to 135 lbs. What’s more relaxing that drifting with the current on a lazy-flowing stream? Let the NRS Wild River Tube with a mesh floor transport you to that peaceful place. Sturdy non-removable mesh floor provides extra security and support. The upper part of the cover is 840 denier nylon, that’s smooth against the skin.